Founded around the site of Andrew Carnegie’s first steel mill, Braddock’s fortunes declined in lockstep with the American steel industry. As the town’s population fell from a peak of more than 20,000 to just 2,800, its buildings, infrastructure and economy crumbled. The challenges seemed insurmountable. 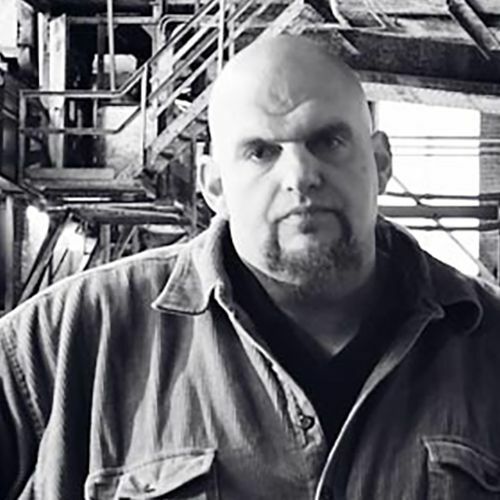 Enter John Fetterman, a Harvard Kennedy School graduate with a Master’s Degree in Public Policy, who moved to Braddock in 2001 to work for AmeriCorps. Four years later he became the town’s mayor – winning the election by a single vote – and has been at the forefront of a massive effort to revitalize the once prosperous town ever since. A relentless advocate for reimagining and redesigning Braddock, Mayor Fetterman’s focus on creating youth-oriented programs, attracting artists and other ‘creatives’ to his community and to pursuing green urban renewal and economic development have been recognized in The New York Times and The Guardian, and on The Colbert Report. And Mayor Fetterman’s commitment to Braddock is clearly visible. He had the town’s zip code – 15104 – tattooed on his left arm, and the dates of the five murders that have occurred in Braddock during his term tattooed on his right.